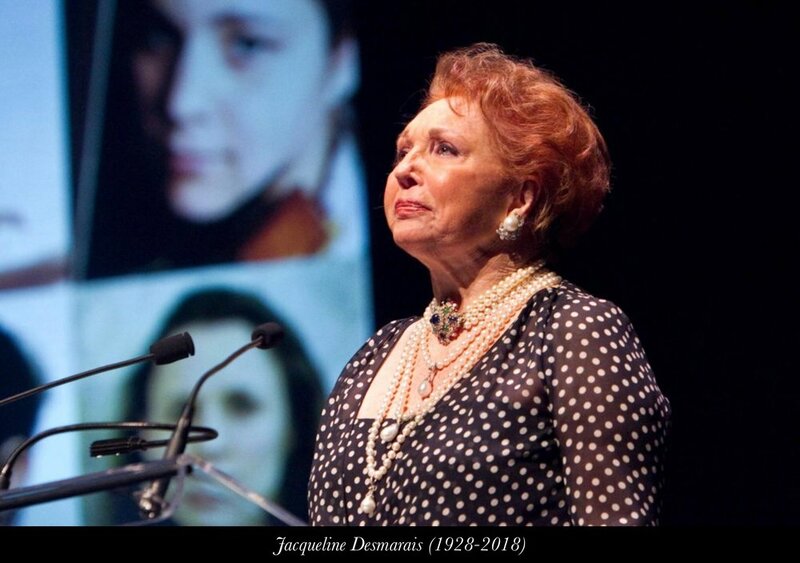 News of the passing of Jacqueline Desmarais was received with great sadness at the Michaëlle Jean Foundation. She shared our commitment to the arts, to culture, to young people. To us, she was not only a philanthropist, but a true ally. Among the many talents she supported, see how many are now leading artists on the international stage. See how many festivals she once helped are now thriving. Jacqueline, who dreamed of singing as a career, allowed others to experience the dream and to surpass themselves. We also want to honour her charitable dedication to the Sainte-Justine hospital, along with the philanthropic endeavours she and her husband, the late Paul Desmarais, conducted to endow universities, including the University of Ottawa, providing them with modern infrastructures. Jean-Daniel Lafond, Michaëlle Jean and their daughter Marie-Éden, along with the team at the Michaëlle Jean Foundation extend our sincere condolences to Paul Jr., André, Louise, and Sophie, as well as to all grieving members of the Jacqueline and Paul Desmarais family, loved ones and friends.